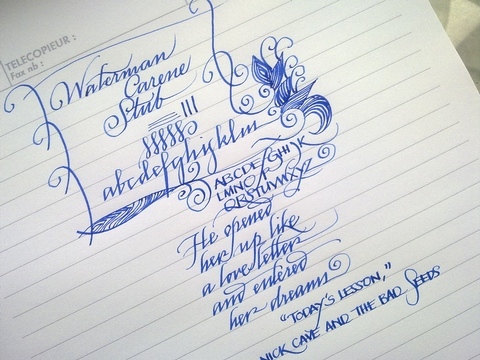 Waterman Carene, now with stub. – Leigh Reyes. My Life As a Verb. 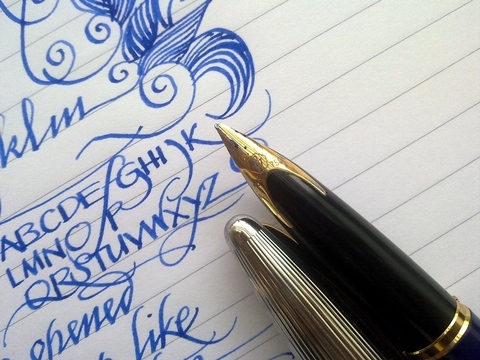 Waterman Carene, now with stub. 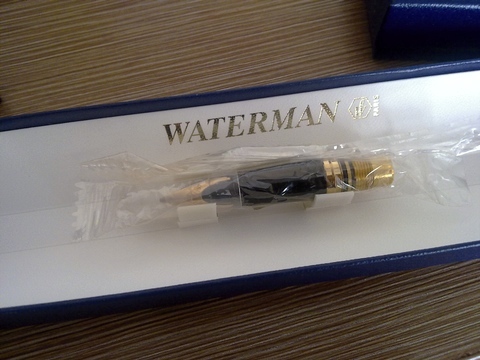 I sold my first Waterman Carene Deluxe. It was dependable, it wrote even if I’d left it inked and unused for weeks, it was deep blue and sterling silver, it was… well, it was the kind of guy you married, I suppose, as guys like that usually come with medium nibs. I dislike medium nibs. Then National Bookstore slashed their prices on the Carene. Did I miss it? At that price, I certainly didn’t mind giving it another chance. 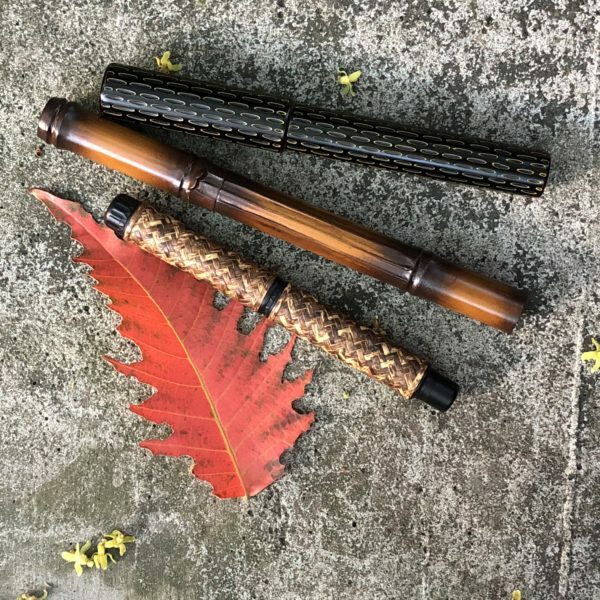 Around the same time, I discovered a seller on eBay who sold Carene and Charleston nibs (with sections) separately. He had stubs available. 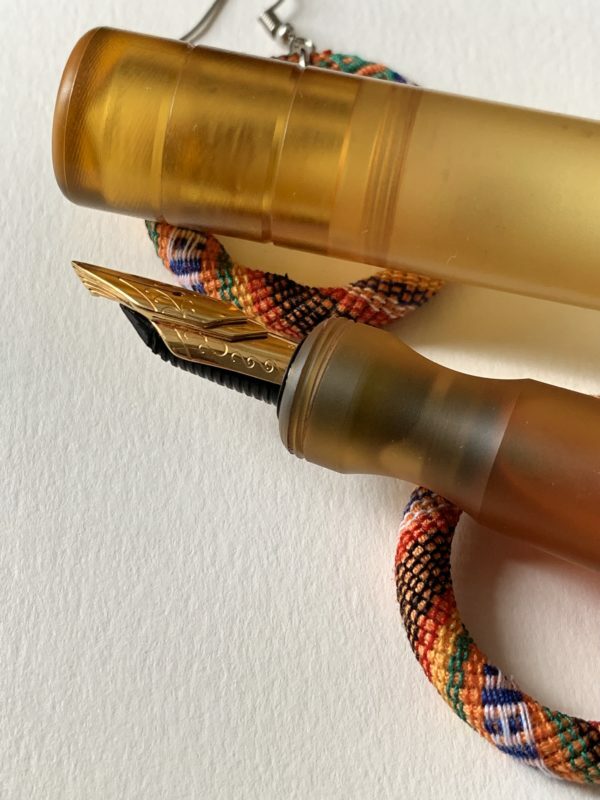 Now, a Carene with a stub is another thing entirely. It’s the pen equivalent of finding out that boring reliable guy collects old issues of The Invisibles. 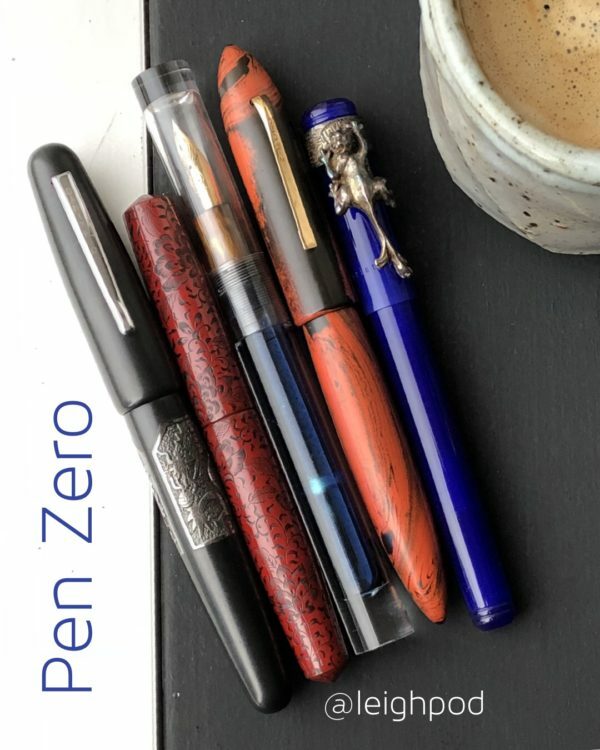 I placed the order before the holidays, and fretted about its non-arrival all throughout, but when the stub unit arrived in its blue Waterman box last week, it was the holidays all over again. I cannibalized the Waterman converter from the Oldwin (which is being used as an eyedropper, anyway), and inked the pen with Pilot asa-gao. The ink flow is steady and controlled, a touch on the dry side – which makes this pen a good choice for signing documents. Now I have a medium nib unit sulking on my desk. Does anyone want it?